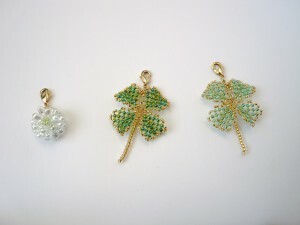 Colone is a beaded charms maker. Colone’s bead charms were born by the hand of a Japanese person. I made the small ornament with my favorite moments, like when I find some little flowers, colors in the sky, sunlight on the water, cute animals… while walking under the sun. It is a pleasure for me if my works bring you warmth in your heart. 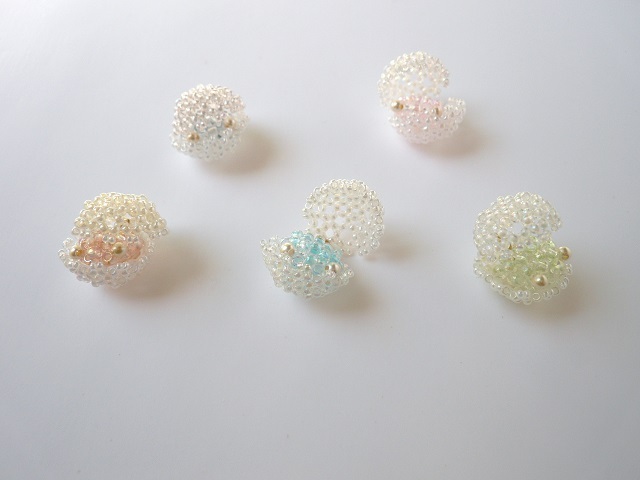 It means round and little in Japanese. 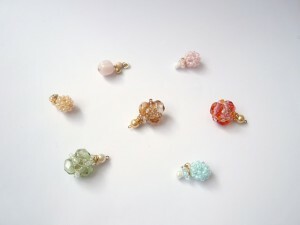 Those are little bead charms made by using various glass beads. 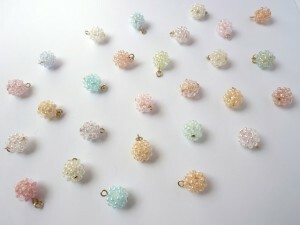 The glass beads are strung by hand with a fishing thread and shaped into various motifs. 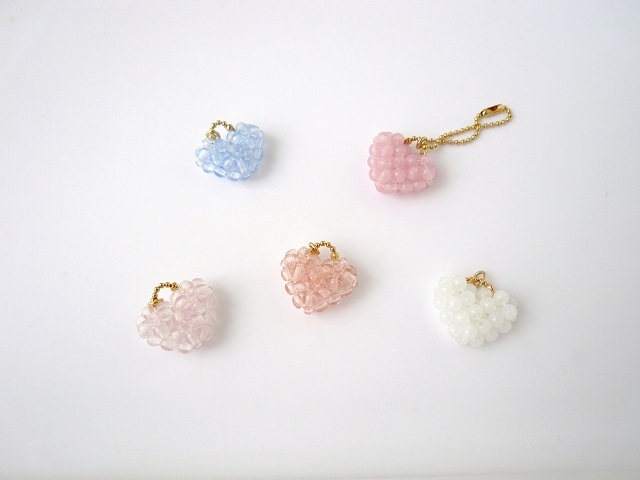 Combined with metal parts, it becomes a beaded charm. 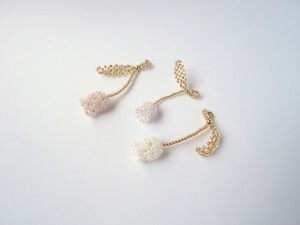 You can put them on bags, on poches… or can wear them yourself as a piece of jewellery. These are mainly small ornaments size as a key ring. Especially, it is easy for them to be put on a thin metal part such a chain. 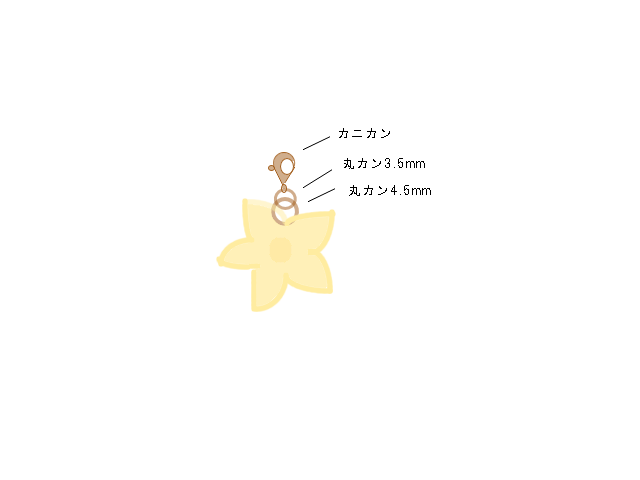 ○Metal parts have been taken off to be east to see. 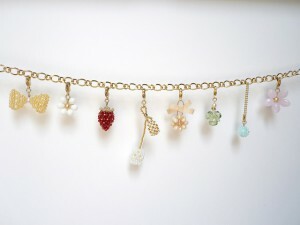 Put on a lobster clasp or ball chain each when you use. There are strawberries, mini strawberries, flower of strawberries. 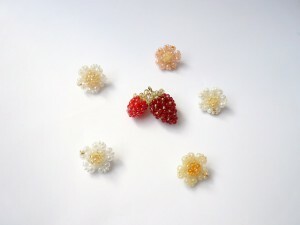 You might feel the texture of a strawberry from the seed beads. 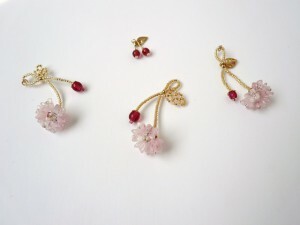 Hall crabapple is a cousin of cherry blossom. In addition to a white lily of the valley, of course, there are even pink, purple, light blue colors. A big bottle is made of three fire polish beads, a small bottle is made of some seed beads. When big bottles have light, it is glimmering. 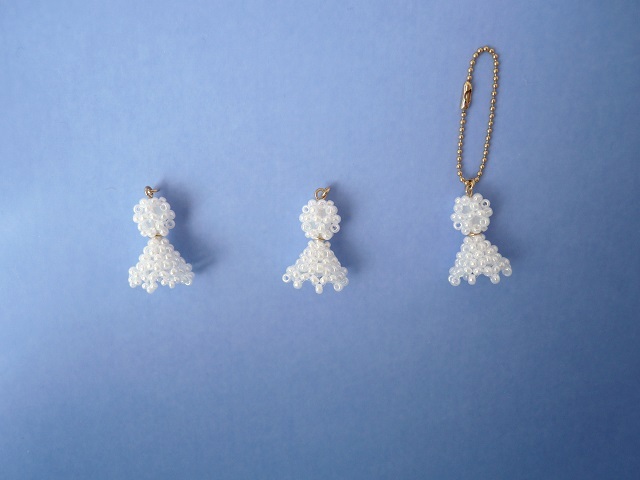 Teruterubouzu is a Japanese mascot hanging beside windows to wish for fine weather on the next morning. 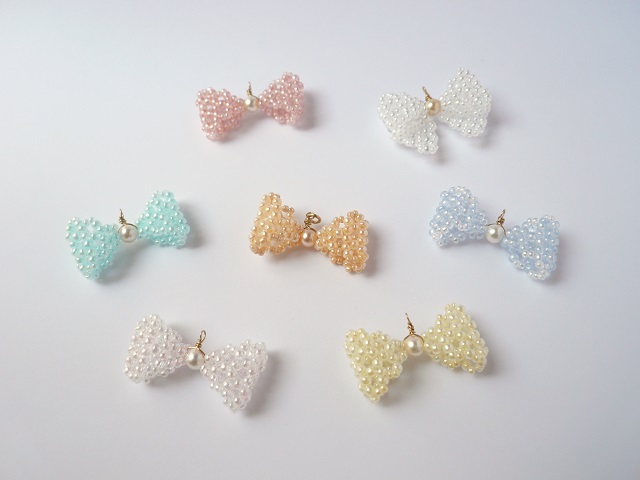 It is often made with an handkerchief by the family the day before an happy event. When the two shells are open, there is Clammie in it. 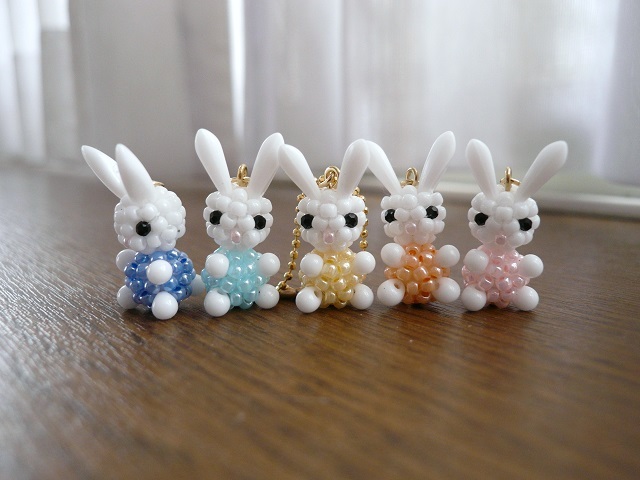 Their eyes are made of glass pearl beads. 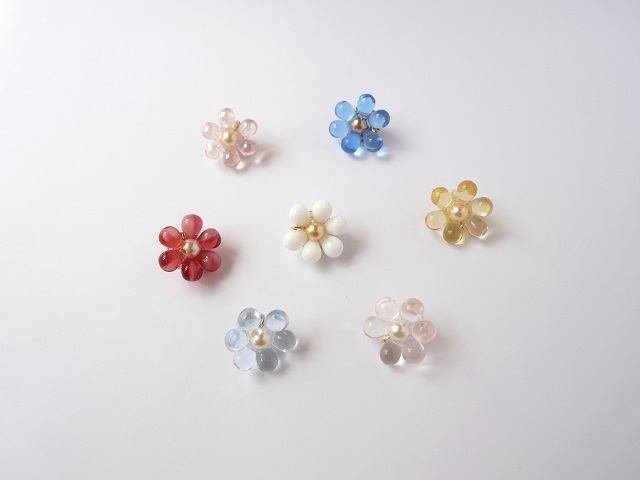 A little flower have been made of five petal beads. 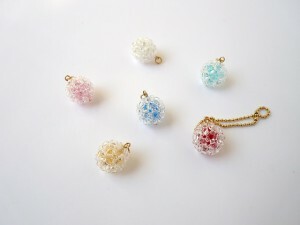 A colorful bead ball being wrapped with clear triangle beads. 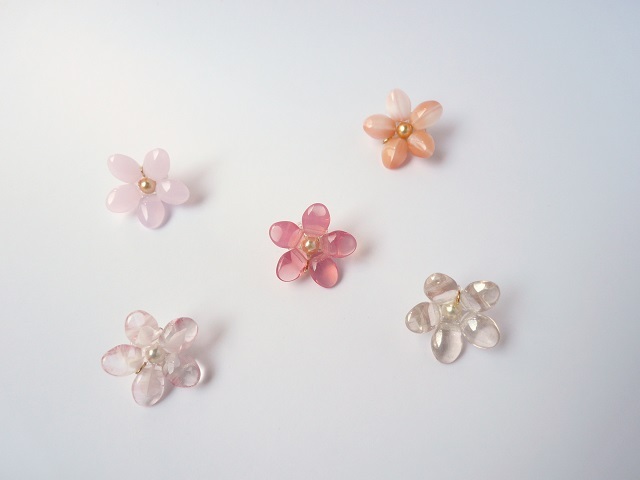 They are shining feel like cool. Clover leaf is made light by seed beads. 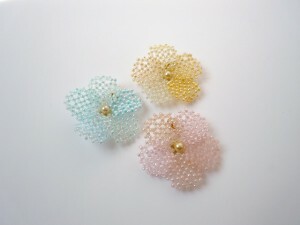 Flower is made round by long drop beads. Three heads high rabbits were born. 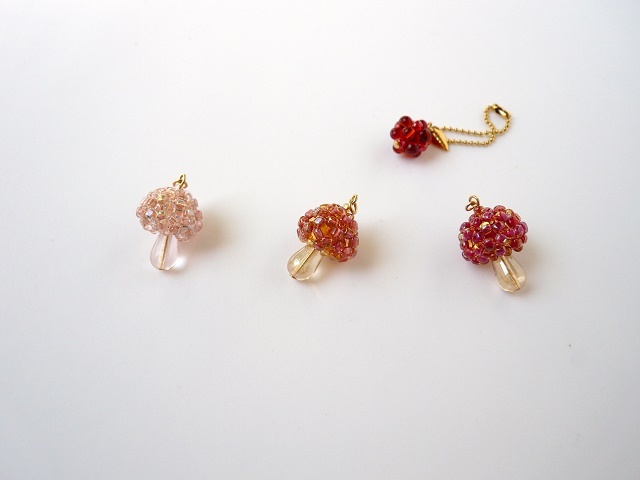 Mushroom’s cap is made of triangle beads, so they are shining from a certain angle. 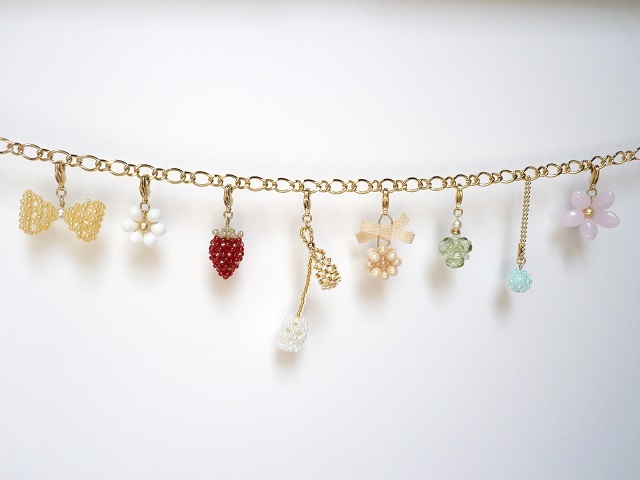 Wild berry is made of some tiny drop beads. 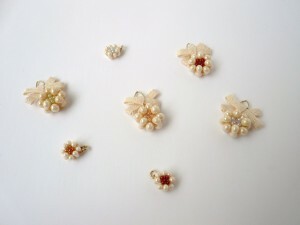 Pie is made of some peanut shaped beads called butterfly beads. 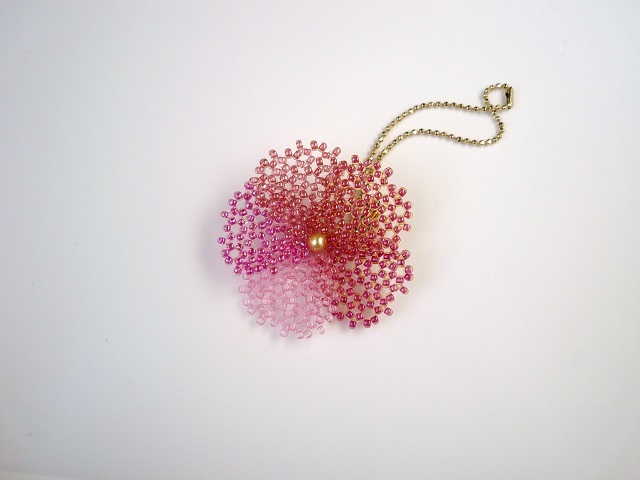 This has been weaved up softly by a lot of seed beads. Various color balls have been made by a simple recipe, so many! 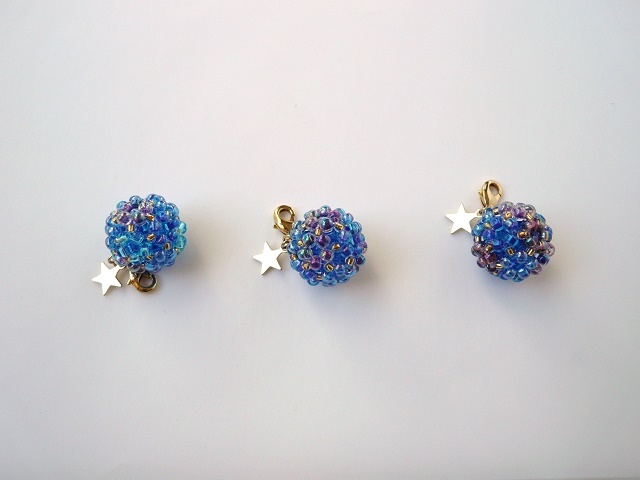 These have been made by many blue color beads like a celestial sphere. It is weaved like piling for each petals one by one. This can be put on a bag directly, because this is rather big. Sasanqua is a cousin of Camellia. Petal has the shape of a heart. 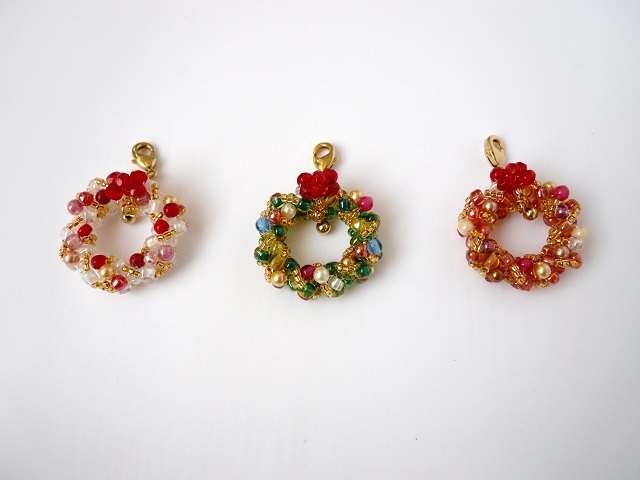 They are weaved by colorful round beads and gold seed beads. Copyright c Colone, All rights reserved.